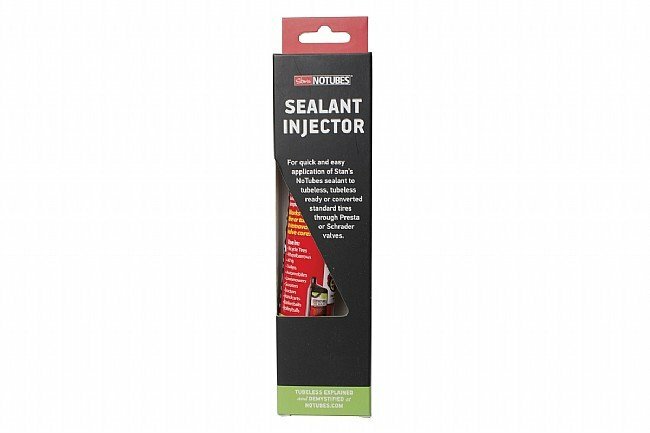 Stan's graduated two ounce injector makes application of sealant simple, with no mess, spill or waste. 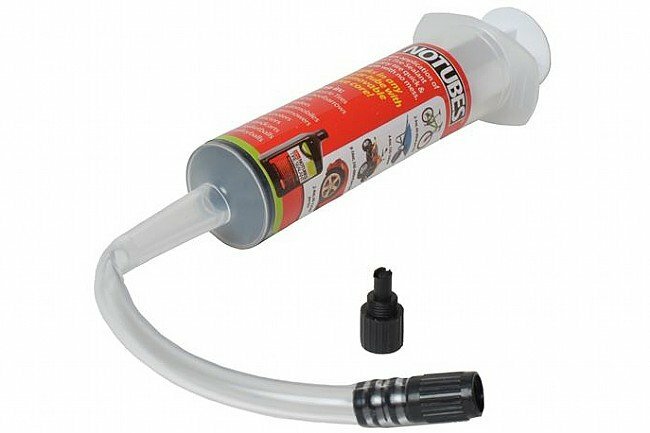 The dual threaded adapter fits Presta or Schrader valves (Schrader valve core removal tool included), and the internal rubber seal and long hose make the Stans injector easier to use than other similar designs. You can even transfer sealant from one tire to another. 2 oz capacity fills most MTB tires.